Well, it’s not really worthy of that Charles Darwin-esque title but the illustration does indeed show how windows have evolved – or more specifically their profiles. Look how much slimmer a modern PVCu window has become in just 20 years! In addition to this, some of the modern aluminium profiles clearly demonstrate the even slimmer profiles that are achievable by utilising the inherent strength of aluminium. 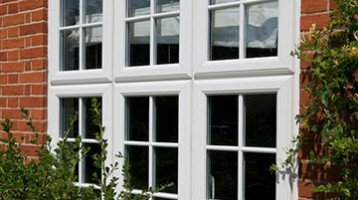 The Cheam PVCu Energy window has a basic 4-chamber design which achieves an A-energy rating. 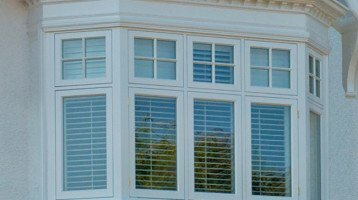 The Cheam Energy A+ window uses the 6-chamber profile which, as it’s name implies, achieves an A+ rating and represents the pinnacle of energy-saving windows available in the UK. The three aluminium profiles in the illustration show our Modern, Traditional and Heritage designs. Our aluminium windows should never be confused with the aluminium windows of the 1970’s/80’s which had very poor insulation qualities that inherently lead to problems with mould and condensation. Although not as energy-efficient as Cheam PVCu Energy, our aluminium range still far exceeds current building regulations and with the correct glazing, can still achieve an ‘A’-rating. So, to summarise, Cheam PVCu windows far out-perform a PVCu window of the 1990’s in terms of energy saving. They’re also a lot slimmer and allow more light in and a less obstructed view out. Our aluminium range being even slimmer, allow even more light in and an even less obstructive view out whilst still achieving a very good energy rating. Whichever you choose, you can’t actually go wrong with a Cheam window…pop down and see us today for a friendly chat and see our windows for yourself.